We welcome new members with disabilities and new volunteers throughout the year. Just get in touch with us or come along to training to meet us. Membership costs for 2019 are $50 for new members and $30 for existing members renewing. This is reduced to $35 (for new) and $15 (for renewals) for members who are students or are not working. For new members only, this includes your Achilles singlet or t-shirt. Renewing members can purchase additional Achilles singlets of T-shirts for $30 each. Membership fees are due annually and cover the calendar year. The monies received contribute to the running costs of the club. Please ensure you have read our Code of Conduct before proceeding. Membership fees can be paid by credit or debit card or paypal within the form. If paying by cash please email info@achilles-sydney.org.au prior to completing the form. 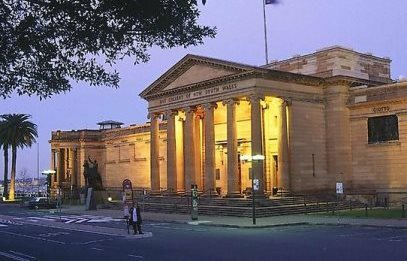 You will find us every Sunday morning, rain, hail, or shine, on the steps of the Art Gallery of NSW opposite the Domain at 8.00am. We train (walk or run) for an hour, taking in the sights, sounds and smells of some of Sydney’s most spectacular sites – the Royal Botanic Gardens, the Opera House and Mrs Macquarie’s chair. To find out more about Achilles Sydney and to meet some of our members please watch these fantastic short films made on behalf of Achilles Sydney.